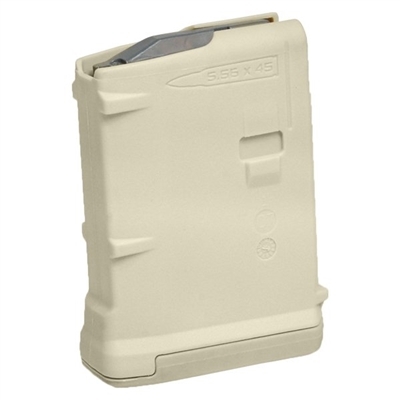 Magpul Pmag 10 M3 Non-Window Sand Polymer Magazine for AR15 rifles. Solid well build magazine. With an adapter, can be limited to 5 shells; however, because one shell can be added to an AR chamber for a total of 6 , this will not make the rifle hunting legal in some states, e.g., Texas. I would highly recommend Turner and would use them again.